We found ourselves not far from St Kilda, off Port Wakefield Rd. north of Adelaide today. Decided to have the full day off after losing the morning, so continued on to St Kilda. 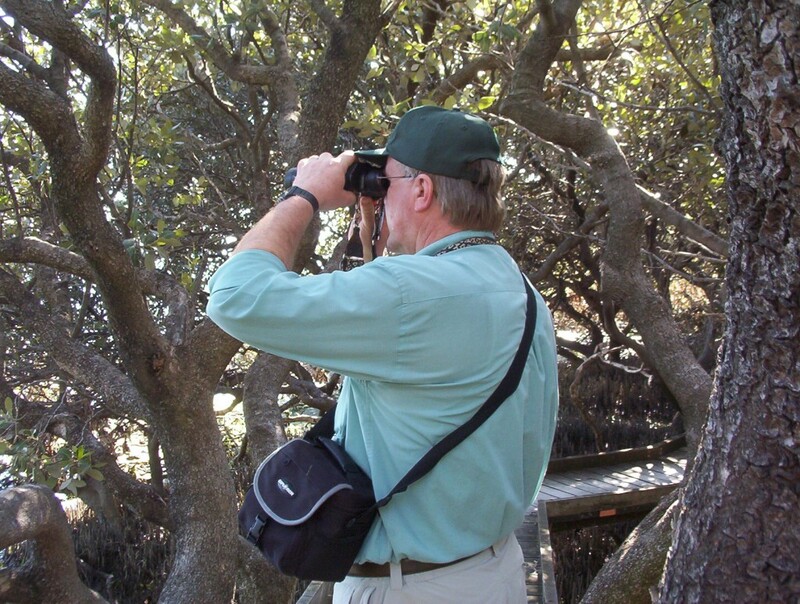 We had heard of the Mangrove Board Walk years ago and never got there. It is great. There is plenty in the vicinity for children to do. 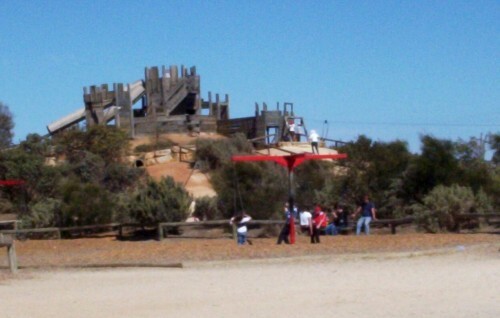 Adventure Playground at St Kilda SA. There were children dressed up as pirates storming the ramparts and manning the ‘old wreck’ (maybe fans of ‘Pirates of the Carribean’!) Teenagers and young adults had fun on the big slide and flying fox. There is a nice grassed picnic area, lots of safe places for fishing and of course the board walk. We enjoyed late morning tea there and later, lunch. I always pack a thermos and food when we do things like this. It is much more interesting looking at plants and birds whilst having a cuppa than the four walls of a shop. This is quite an exposed area of Gulf St. Vincent and plants must withstand the blast of salt winds. One of the toughest plants, obviously planted some time ago, is the old man salt bush, Atriplex nummularifolia. There are new plantings of other species that have been protected by a shade cloth wind break while the plants were small. They are now up above the fence and looking good. 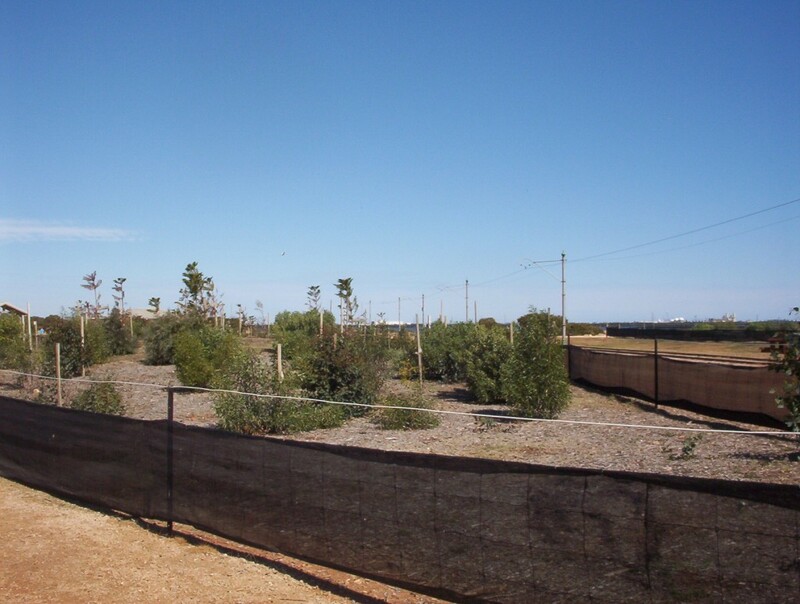 New Plantings at St Kilda SA.